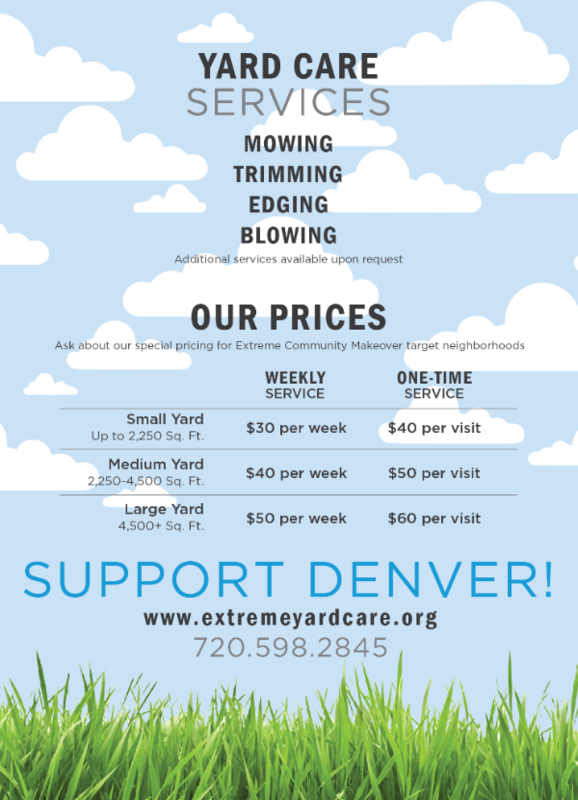 Last month, I shared how Extreme Community Makeover began in the Villa Park and West Colfax neighborhoods in 2008. As we moved ahead into 2009, we expanded into the Globeville and La Alma/Lincoln Park neighborhoods, due to some relationships in place with a few groups who were located in these areas. 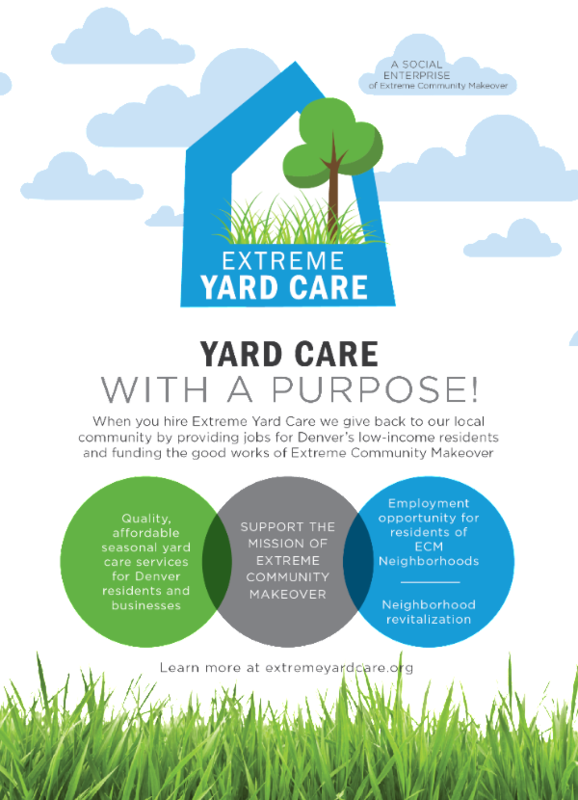 As we added new neighborhoods, it became clear that more and more residents appreciated the services offered through the helping hands of volunteers, while we continued to see more and more volunteer groups who wanted to participate. The picture below is one of my favorites from 2009. The rest of this message includes ways that you can get involved in ECM this year, while celebrating with us at our 10 year anniversary party on Friday, March 23. I hope to see you there! The flyer below shares more details. Or you can head to our website. Contact EYC with any questions you have here. Have you wondered what it means to be on a Board of Directors? 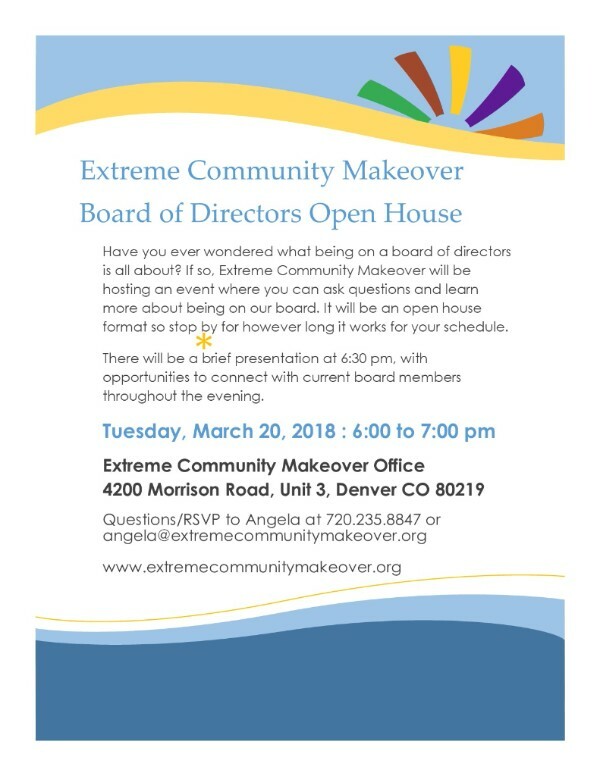 We are recruiting 1-2 additional board members, so if you are interested in learning more, we are hosting an open house on Tuesday, March 20 from 6:00-7:00 pm at the ECM office (4200 Morrison Road, Unit 3, Denver, 80219). You can hear more about what it means to be on the board, meet the current board members, and ask any questions you have. RSVP to Angela to attend. Next week is our 10 year anniversary party! 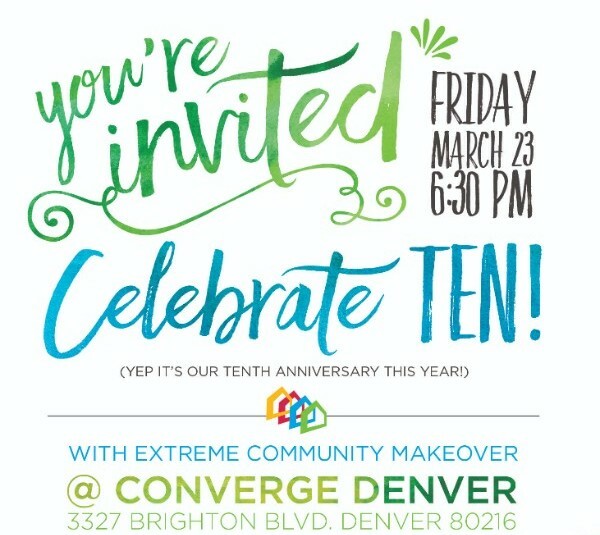 Come join us for a fun night of celebrating the past 10 years with Extreme Community Makeover, while also kicking off this year. The party will be Friday, March 23 from 6:30-8:30 pm at Converge Denver (3327 Brighton Boulevard, Denver, 80216). We will have margaritas from Coyote Gold, dinner from Comal, and dessert from Gateaux Bakery, along with a time to share highlights from the past 10 years. Thank you to Heritage Title Company for sponsoring this event! 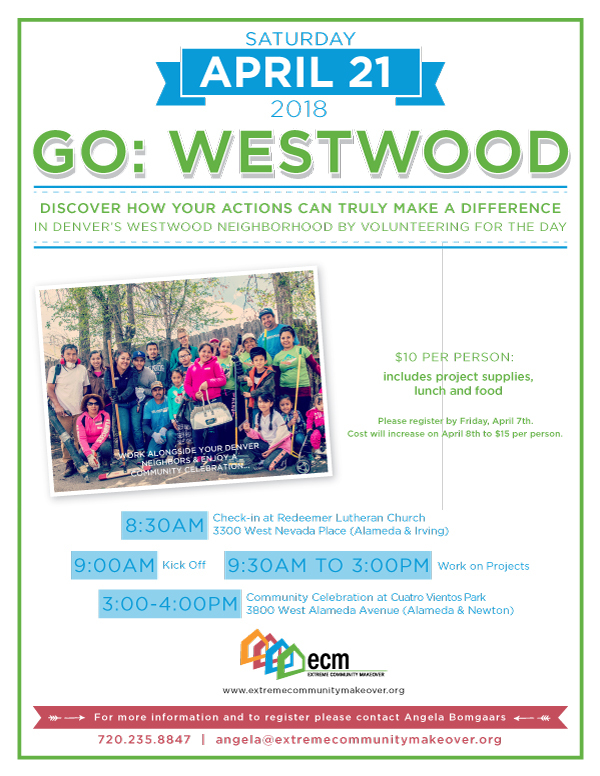 There is still time to join our Go: Westwood project, which is coming up on Saturday, April 21 at 8:30 am. 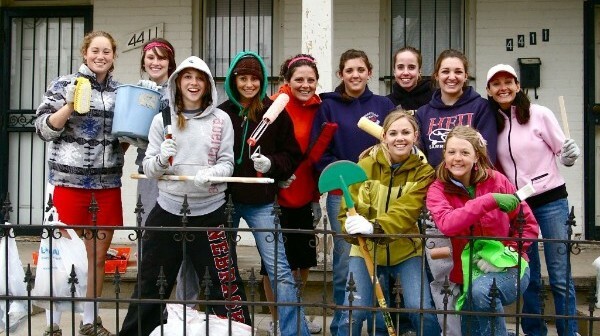 Help us reach our goal of 500 volunteers, whether you join us as an individual or get a group involved. See the flyer below for more details. Contact Angela with questions.